If your anniversary or any special events is coming up, it would be disastrous if you don’t have a great gift for your beloved partner. 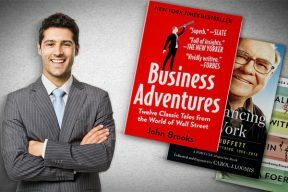 Worry no more, in this article, I will share some of the best-engraved gifts for men that you can order immediately just on time for this special occasion. These items, keepsake, and gifts are perfect to remind him about your committed relationship. I will also include what style and features of the item that fit certain men’s characteristics. 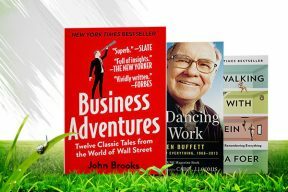 So sit back, relax and enjoy reading! You might find something suitable for him right away. First on our list is a wallet, it is rather essential for men to have everything in his pocket. This is also perfect for men who are practical and enjoy utility. The brown leather gives an elegant look perfectly match those elegant and honest characters. It also suits those who like to keep a picture of their loved ones around. This helps to remind him about the great foundation and accomplishments he has. As one of best pick engraved gifts for him, this wallet rather suits all types of men regardless of any ages. Swanky Badger can help you laser engrave up to 3 initials on the front of the wallet. Even better, if you would like to engrave a special message, you can have up to 160 characters for the inside. The wallet has a clear sleeve that fit in a family or couple photo for the constant reminder. No need to worry about utility as it has 8 credit card slots for his convenience. Plus, there is a zipped coin pouch, two additional pockets for the paper cash, and another zipped cash sleeve. This would be more than enough for him to store his cash with the sleek and compact design! The leather outside is smooth for the touch while the stitches are solid for long-term usage. The leather quality is Split Cow, therefore, it still displays a class sense while maintaining for years as this is a personalized gift. For $50 as in this price range, I think you gain more benefits in term of values exchange. The wallet is perfect for you to make it even more unique with your message and engraved initials. This is great for most occasions too, whether you give it to your father, boyfriends or husband. If you prefer something more simple, this engraved aluminum love note inside will add some love along with the engraved leather wallets for him. This is more intimate and loving as a gift to your boyfriend or husband. Combining with a nice wallet, it will only get better if you include a love note that specifically comes from your heart. This wallet love note is suitable to those prefer the classic and simplistic way to express their love. No need fancy restaurant or tangle things. You should be aware that this is not a personalized love note. The card will come with the phrases shown in the picture. Be sure about this before ordering this card. The main colors are black and white, which is relatable to men’s confidence and professionalism. This love note is well-received from men with mature thinking, especially men who want commitment. The words front is clear and expertly engraved which will catch his attention right away. The size of the card is about the same size as a credit card 3×2 inches. The love note also is best for any occasion to express your love and meaningful message for him. You also don’t have to worry about the quote wearing off over time. The words are laser engraved so they will last permanently on the aluminum card. The loving message that lasts forever is the best kind of gift for him. For $17 bucks, you won’t have to go through any trouble to give something intimate and loving. The card is light and smooth for the touch. Every detail counts as you are caring for your loved one as much as he is for you. Don’t miss this chance to have such a high-quality and long-lasting love note! The next engraved wallets for him are the ones practical and secured. Since this is a secured wallet with RFID blocking function, it actually suits for everyone who you care for. Yes, besides men and boys, even women and girls should have one of these wallets. Keep in mind that the engraving is not personalized. Look like the patterns and the company logo are engraved. But besides that, you have a highly-functional wallet. This type of wallet suits for anyone who prefers security while still look elegant. Since hackers and financial crimes are rampant, the RFID blocking feature will protect your credit card chips from hacking. Let’s me help to clarify! Your credit card has an RFID chip, by nature, for the ATM to be able reading your financial details. Hackers can get your credit card information just by leaving their devices near your wallet or do a quick sweep. It might take them seconds to read the information from your credit card then conduct financial fraud on your name. 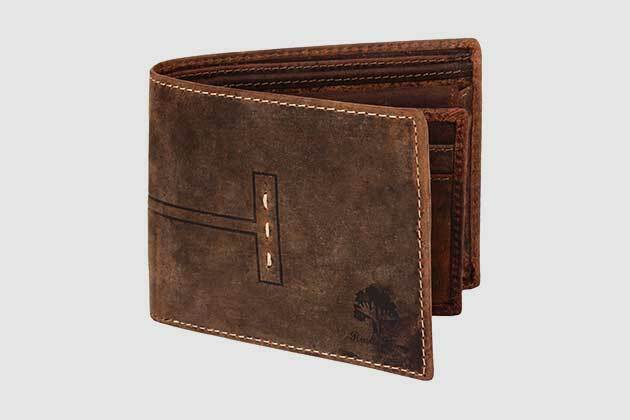 Besides the unique feature, the wallet’s main material is genuine buffalo leather. The company then tan it with 100% vegetable oil for a great smell. The overall result is a soft and durable wallet for your loved one’s convenience. The bi-fold design actually extends its capacity for the neatly stored bills and cards. Rustic Town is offering this amazing wallet for just $30 dollar. Believe me, for such unique features and cool design, you rarely come across in your local store. Also, protecting your financial details is even more expensive once you got hack or assumed fraudulent. Don’t risk such a situation and get one each for those you care. Where can I get a wallet engraved? – is a very common question when it comes to a wedding gift. If you purchase a wallet from My Personal Memories, Inc, they would help with any kind of initials. The company also offer a wide choice of fonts for your consideration. This is definitely suitable for anyone who loves customization and really picky about the font types. If you purchase this as a gift, make sure you know the person’s favorite color. The brand is currently offering 7 kinds of color, namely, black with gold, black with silver, tan, rawhide, brown, rust and gray. Each color indicates different meanings of that person’s character. Also, some people believe in luck which comes along with certain color combinations. Thus, it is good to keep in mind the wallet color and the color of his engraved initials too. Moreover, this wallet does not have the RFID protection as well as an ID window. The main material is genuine leather which looks sleek and professional. The stitches are neat and carefully aligned so that your wallet will last over the years. It is important because you want the wallet is something meaningful and iconic from your loving heart to him. The wallet is useful for any occasions or events that matter the most to him. You can also gift this to your father, brother, friends or colleagues. The bi-fold design is more than enough to store both cash and credit cards. Sadly, it does not have a coin pouch, but for $30, this is another alternative for your selection. Now we come to the section for men who love watches. Where to get leather engraved watches? – Here with Cosvog, you can even have the watch engraved on both sides. The engraved watches are suitable for those you prefer the classy style. Men who prefer traditional ways of tracking time on the watches rather on his mobile phone. Furthermore, it is also a favorable gift for those who love calligraphy and word arts. The best part is you can personalize it on both sides of the watch. Due to limited spaces on a round watch, keep in mind that the front can have up to 4 characters or symbols. As for the back side, you can have it for around 8-12 words, image, logo, etc. The choice is though limited in space by the brand offer your engravings in many aspects. Since the watches are handcrafted with 100% natural wood, you both have something unique and durable over time. This gift is suitable for everyone you love and care for, no restriction on gender too. The wood material is smooth without any application of chemicals or dyes. The main design is super stylish and classy by Japanese Quartz Movement. It also comes with a beautiful wooden box so you can just wrap it up with gift covers and ready for the special event. Therefore, this is the best gift for an anniversary, birthday and/or a special event of that person’s life. The watch also comes with two main theme colors bright and dark ebony. From there, you can choose the best color adjustment under these two types. For $33 dollar, you have yourself an amazing watch with personalizing messages/quotes that will bring a smile on his/her face. You surely should buy this watch box along with the personalized watch. They go hand in hand to create the perfect match for his collection. 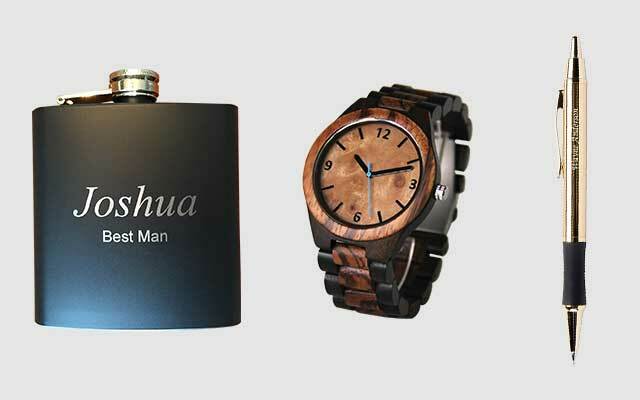 These combo engraved gifts for men is perfect for whose like to have a watch collection. Someone who prefers changes and like to spice up his life by wearing a different watch every day. The Wedding Party Store offers free engraving on the box at no extra cost. More importantly, for someone who loves extra spaces. This box can hold up to 10 different watches. Though be aware that the measurement of each separator is 10 x 8 x 3 inches. There are at least 8 choices of style for you engravings ranging from names, logos, initials, and original signatures. The wood material is sleek and looks luxurious, while there are only two color choices. The brand currently offers the box in either black or brown leather. Understandably, these colors express men’s dominance and elegance. Though more color choices would be highly appreciated. For an additional of $50 bucks, you actually have a neat and elegant watch box for any personalized watches. If you just buy the box, since your partner already owns lots of watches, it still compliments his collections with your personalized message/icon/logo. Don’t hesitate on this gift as it would worth your money eventually. In addition to the top engraved gifts for men, Modply brings a high-class watch to the table. Quite different from other sellers, this watch has three additional clocks for you to keep track of the date and time. This watch is great for busy men, who have most things planned out for the day and enjoy keeping track of the time. The price alone for the watch is $64.50, however, if you decide to have it engraved. Then you need to pay an additional 5 bucks. Please aware that the brand can engrave a maximum of 15 characters per lines on the back of the watch. The watch can only handle 3 lines so keep your message concise and meaningful. The overall look is a bit dark but the wood finish is actually pleasant to the eye. There are a total of 6 styles to choose for this collection. All of them are made from high-quality wood materials. The watches also feature the Japanese Quartz movement which is the high standard in the market. Since you are paying for a higher price compared to others, you have the benefit of the 12-month warranty. The brand also takes care for repair services even if you are out of warranty too. This makes your money worth the purchase and also valuable to him. Sometimes, to express your love, a high-quality and reliable watch will be the perfect gift. The watch should be fine for the most type of men whether it is your son, father, friends or husband. In most situations, you can give him this watch for an anniversary, keepsake, birthday and special event. Don’t miss out this opportunity and send him a cool personalized watch! If your man prefers something old-fashioned and vintage items, a pocket watch is going to bring back the historical beauty for his accessories. You can prepare this with other engraved presents for him on many occasions. Though it looks classic yet it is the same person that makes you love the most regardless how much time has passed. During this modern days, it is rare to see someone pull out a pocket watch to check the time. Hence, it definitely draws attention from everyone and makes him stand out among the crowd. The pocket watch presents his character as someone who is reliable, traditional and trustworthy. In the past, pocket watches are keepsakes and passed on from generations. Remember that this is not a personalized pocket watch. So you cannot order to change the message on the back. The phrase also is laser engraved, therefore, it will last forever regardless of any wear and tear usage. The gift box and the chain are included in the package at you receive. Furthermore, the chain is about 14 inches which are adequate for him to put in the waist pockets. Also, the Lithium battery is included inside the watch, if it stops after a few months, you can easily get a replacement battery. With the size around 4×3 inches, you can actually fit in a portrait photo of you with the best smile for him as a reminder. With a $22 price tag, I believe this is a meaningful gift to any men who love vintage items. It also shows their personality who treatures your love regardless the time passed. The pocket watch is a great reminder to tell him constantly that you love the way they always are. 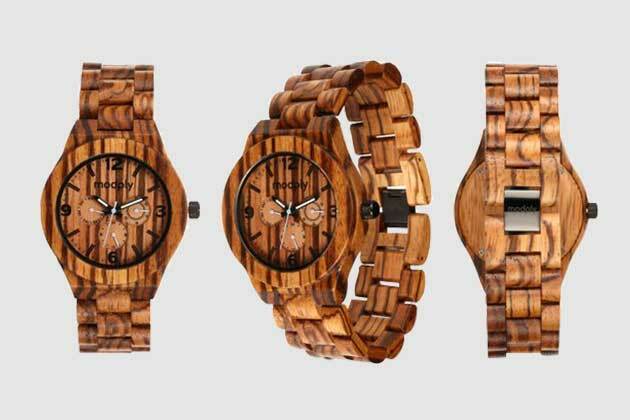 Cabany Co offers a fashionable wooden watch. This makes one of the best-engraved gifts for boyfriend who likes naturally made products. The watch is super light and the engraving font options look very cool in overall. Before making your order, there are a few things to keep in mind. The engravings only show on the back of the watch, and the front is kept original. Also, there is no warranty and no free gift box for this product so careful with your order before checkout. Lastly, the watch might be a little bigger on his thin wrist once arrived, but there is no tool to adjust the wooden links. So you might need to bring it to a clock shop or jeweler to help you with the correct adjustment. Even though it quite is a nuisance to go through, but this is definitely a fine gift to your boyfriend and those you love. The style is very flashy and attractive to the eye thanks to the mineral oil finish. 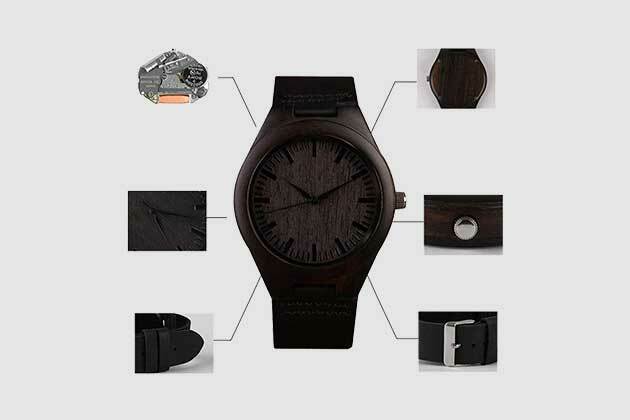 This makes the watch’s wood pattern to appear clearly and leave a light woody smell. There are 7 different font type for you to select. Also, you can follow the format to have the quote, date, and initials for the back engravings. Otherwise, you can try to be creative but remember to keep it short! The team will adjust the font as they see fit though so you can email the seller to discuss in more details. For the natural wood material, the price of this watch is slightly higher than others I have suggested. Starting with $57 dollar or you can have it in a gift box with an additional of $3.5. Depending on his character, I believe this can give you an alternative for your consideration. Sometimes the simplistic style is the best approach for couples and/or your spouse. A set of engraved keychains for him might be the magical ingredient. It is direct and easily carried with him wherever he goes. The keychains are suitable for men who keen on details and small things. 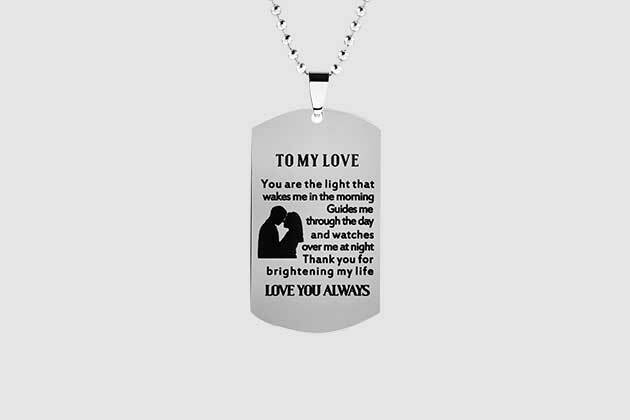 Though he has an emotional personality too, which he can easily feel motivated and cherish the small message on this dog tag. Top Plaza inspires men through its premium quality dog tags. Before ordering, keep in mind that to avoid water, alcohol or chemical contact since the product is mainly alloy. Also, there is a 90 days money back guarantee, so you can actually trust the brand for its best materials. Lastly, this is not a personalized gift so you have the exact message in the picture. Thanks to the good alloy materials, it won’t cause irritation or rashes to the skin once wear it for a long time, especially fine with sweat. The keychain ring is about 2.8 cm in diameter, which should leave some rooms for at least 5 keys. The pendant size is 5 x 1.2 cm and the necklace string is about 52 cm. This should be enough to wear comfortably all day. For just $10 bucks, you have 2 pieces one with the keyring and the necklace to give him for casual purposes. Though it might not be great for big and memorable events, you can gift him this as a small appreciation for keeping a healthy relationship with you. Couple lovers and family members are very thoughtful, it matters the meaning not the value of the item! While we on the topic of dog tags, here is a bigger tag from Meibai to leave you more rooms for meaningful words. This one actually fits for men who take it seriously, spending the time to read through and recall the best moments with his lover. Both you and he must have something unique and can only express in long sentences. This makes the best scenario for such a purpose. There is something you need to know first! This gift comes with two models. The first model is a key ring has a dog tag containing dirty languages. Totally suitable for those casual couples, who like to sound dirty and spice up their love. I highly advise you gift this model for those who love a dirty and funny side of love. The second model is a necklace with a pendant containing meaningful and cherished words. This is preferable for the serious couple and emotional spouse. With this, you can never go wrong with your loving and caring on his special day. The material is great with stainless steel that gives protection over water and liquid. However, to prolong this accessory, you better take it off while sleeping, exercising or and heavy activities out on a sunny day. This will prevent the sweat to wear down the plating. With $11 bucks, the key ring or necklace arrives with a velvet bag and ready for you to give him. Even though it is cheap and not personalized, but a bit of love every day helps you remind him that is all matter. A big and long-term relationship is built by bits of love for sure. This is why I highly suggest this brand as one of the best-engraved gifts for men. Now we come to the unique style which is matching dog tags! Some couple prefers matching accessories for each other as another half of their piece. The PiercingJ understands your need and here to help you with some engraved gifts for guys. These definitely come in couple and personalized on your behalf. This piece of accessory would fit both for those couples enjoy being a part of each other. Those who would like to keep a half of something very important. Hence the main design here is the matching puzzle dog tag or pendant. They fit in together perfectly just like your relationship. As for the feature, they are very dynamic. First, you can have either the keyring or the necklace. Then there are 20 types of font for your browsing pleasantry. You can then have both the pieces engraved both front and back of the tag. Yes! Pretty neat I think. So you can have your name and his name on one side. The other side could be you two’s date of birth, or anniversary date (for an easy reminder). The material is 100% stainless steel which is extremely durable over time. Though keep in mind that the size is 25 x 17 mm for the pendant and 21 x 17 mm for the keychain. So your wording option quite limited. Usually, it should be both of your names, or you can think something creative like a half-word puzzle. This makes it ideal to have a keyword that can only reveal by matching two pieces together. For only $15 dollar, you will have something remarkable and a bit secretive only for both of you. You can save this gift for special events or anniversary since they have a big meaning in both of your relationships. Last item for the top engraved keyrings for him. 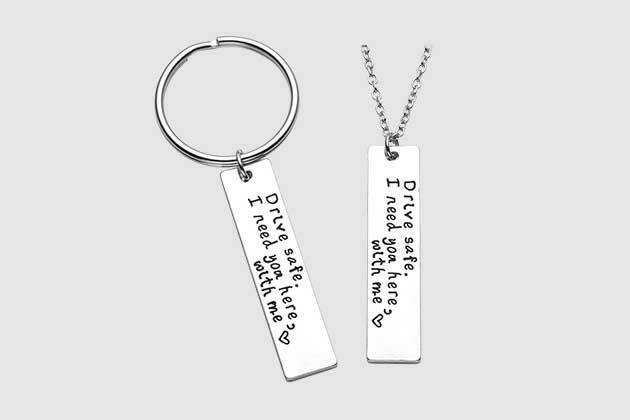 I would like to suggest a Drive Safe Keychain from Fleure Esme. Even though it is small and cheap, it does make a difference as an additional item for the main gift, such as the key to your apartment? or a new car? As manufactured by Fleure Esme, a trustworthy brand so you don’t need to worry about the stainless steel material. The brand offers a full 1-year guarantee for free replacement or refund if something wrong happens with the product. Though watch out for the fake ones who distribute a similar product with lower price. Always take notice the seller name before you order. For those individuals have skin allergy with metal, no worries also as the tag won’t cause any distortion, rashes, or irritation in a damp environment. For $8 dollar, this is a nice piece of your loving ingredient to the main course. 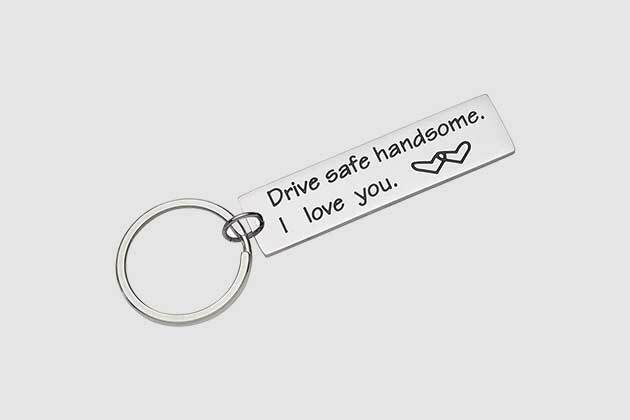 Of course, whatever that special gift that might be, you can just throw this in as a reminder for him to drive safe and be with you for the rest of your life! Here is another alternative to your selection of engraved gifts for men! Cavalier Jewelers offer a reasonable price for small and simple rings. Surely this will benefit men with a high commitment to the relationship. It also enhances the man’s elegance and cools looking. Wearing an expensive ring daily could attract unwanted attention. Thus wearing this ring instead still presents you couple’s commitment while deters the chance of thieves. Before ordering this please take notice that it is not a personalized product. So the “I love you” will obviously come with the ring itself. Also, the ring standardized width is about 8 mm, thus, make sure you got your finger measurement correctly to avoid cases that it is either too small or too big. However, there is a size selection for you to pick, just be aware if the size still is in stock. The brand also has a 30-day money back guarantee, perfectly makes you happy if something is not right. 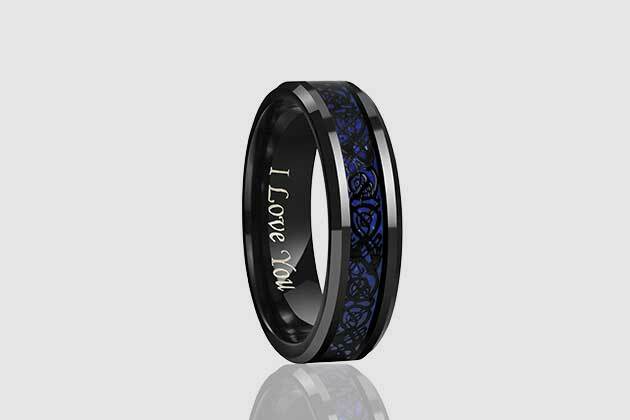 Besides, the ring is laser engraved with the phrase and very comfortable to wear. Lots of customers reviewed that they have no allergy and irritation when wearing it under humid conditions. The ring material is genuine titanium. This material is very tough, even you drop it or accidentally collide against the rough surface, it won’t show a scratch. Also, it can withstand high temperature and won’t bend easily. This makes the ring even more meaningful as a symbol of your unbreakable love. Depending on the size you select, the ring can cost around $8-$16 dollars. Anyhow, it is very neat to have it for daily wear. You cannot trust people on the street these days and it is better to wear something not draw too much attention. While we are on the topic of rings if you prefer something matching for both you and him. Anazoz brings special engraved gifts for him and you with the couple wedding engagement bands. These rings are definitely the right choice for a couple who love items that can be put together as a complete set. They match perfectly as same as you two. Though we always have different personalities inside, there is always that you both have in common. Teamwork to overcome hardships in life, sharing your love at every moment, and compromises your differences are the best traits between you and him. Though, here are some essential notes before you buy. The price $15 bucks are for one piece only, to have both bands altogether, you would need two separate orders. Remember to consult his finger size as well as yours. The rings should come with a beautiful jewelry bag and a free greeting card, so you are well-prepared, no need for extra present wrappings. The ring material is made from stainless steel so it won’t wear off or oxidized over time. You can even make this as a ring necklace. It is very convenient and comfortable to wear it either on your fingers or around the neck without having worry about it getting rusted. The length of the chain is 60 cm for his ring, and 50 cm for her ring. In overall, this is a great gift for couples or family members who are so important to you. The half-heart puzzle will make a complete set and show that your love for each other cannot be separated. I proudly suggest this for an anniversary gift or special events that cherish your long-term journey with each other. Another best rings for your engraved gifts for men suggestion! Though this one does not comes in a pairs, but it has great details in exchange. Totally fits those who have a keen and artistic eye. Moreover, it is in a dark theme which brings out the men’s successful and prestigious look. Due to the amazing look and cool design, be aware of the Chinese replica though, you should only order from Crownal, the authentic seller only. Also, the ring has a comfort fit design, which means it has an opening on the ring itself. So you can order it pretty much close to your finger size without having a worry that it might turn too tight. The ring will definitely come with a velvet bag packing for your convenience. Now comes to the juicy part! The ring has two inlaid around it. The first one is the blue carbon fiber inlaid, which has the deep blue see color. This symbolizes the hidden meaning of trust and loyalty on the background. While the second inlaid is a black Celtic dragon, which symbolizes confidence, power, and prosperity. They are the perfect meanings in combination that you want him to know about his character. The main material is tungsten this time which maximize certain features. Such as it is very resistant to scratches and likely to keep the polished finish over the years. In exchange for its heavyweights, this material is more affordable to other expensive materials such as gold and silver. The total cost is around $20 dollar which makes it ideal to wear daily. 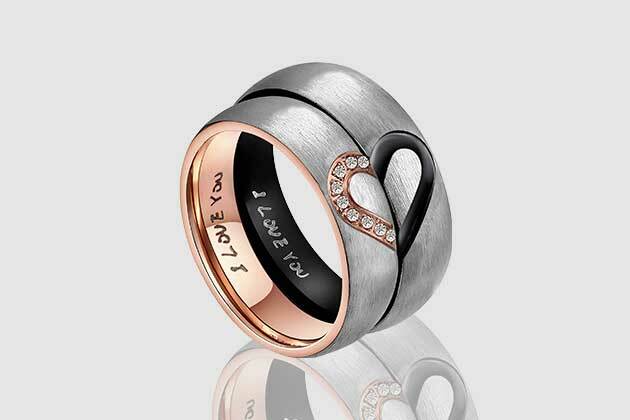 The engraved phrase “I love you” is more than enough as the emotional support for many couples. Don’t hesitate to gift this to a close friend or family members that you really care for. If you prefer a brighter ring for your boyfriend or husband, then MJ Metals Jewelry should an option for you. The brand specializes in its crafts for affordable pieces of jewelry and gifts. This type of ring is suitable for those who like purity, innocence, and perfection. Since this is a very nice piece that is gender neutral and even looks very luxurious. One thing you should glad for is the ring can be custom engraved as you wish. Yes! Though be aware that the brand name still will be engraved on one side, leaving the other side for your personal engravings. The ring also has a comfortable fit design. It can come off easily when you loosen the opening. Don’t underestimate it though! It wraps around your finger firmly and won’t come off by minor forces. The material is tungsten carbide, with the mirrored polish, it resembles the expensive look. Yet it is very sturdy and resistant to scratches if you happen to hit it against hard objects accidentally. It is very resilient and feels pleasant to wear day to day. Also, this ring is hypoallergenic, which is totally fine for those who have weird allergies with metal, all thanks to its titanium and ceramic coating. So enjoy the luxurious look and durable ring for just $7-$19. Depending on the size you choose and whether to have it engraved or not. This should be one of the ideal gifts to cherish your anniversary, birthday and intimate occasions. Don’t miss out this one to add into your affordable engraved gifts for men collection! Now when it comes to practical application, certain pieces of jewelry fit only a specific purpose. Take this silicone ring from Unii as an example, it is best for boys who are active, play sport or work in heavy industries. Since it is made of silicone, the ring is an alternative wear for that expensive engagement ring. With this silicone ring, there is nothing can go wrong with this one. Risking your beautiful gold ring with chemicals, oils or simply your sweat is too much of a cost. Instead, you definitely can wear it while working with cars, machines or daily workouts. 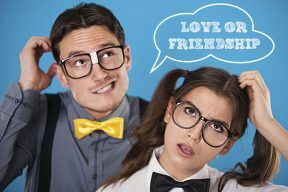 The main purpose that you make people around to notice you are in a relationship. This rubber ring has some polished finish which makes it looks attractive and elegant to everyone’ eyes. The design is very flexible and ultra lightweight to wear all day. You won’t even feel that you are wearing it! Also, the ring is safe against any skin allergy too. Thanks to its flexibility, the ring size won’t be a problem for your fingers like metal rings. As mentioned above, this type of ring is very practical. Most people buy this even to wear at work such as the military, police department, fire station, factory, etc. Since it is cheap and durable to many conditions, you don’t have to worry if the ring got messy and focus on your job at hand. From $10 to $18, this ring is efficient and logically to have when you would like to gift it to your partner during casual events. Though this is small and affordable, it is still a token of love and means that you care for him. The ring worths your consideration mainly for the practical purpose which I suggest you should give it a try. 01. Dayspring Pens – Personalized Monroe 18 Karat Gold Plated Gift Pen and Pencil Set. Among those engraved items for him that I suggest so far, a pen would be more suitable for intellectual men. The pen has been a symbol for wisdom and creativity from the past. Even till this modern day, giving men a pen means that you appreciate his experience and knowledge to take care for you. This is a different approach to cherish the best moments for special occasions. Dayspring pens offer free and personalized engravings. Though keep in mind that for this particular pen, the space can only handle up to 24 characters maximum. The pen has polishing look with sophisticated elegance from the first glance. This makes the pen is even more meaningful for a celebration of special events such as to congratulate on a new job, new promotion, a start of a new school semester, signing a big contract, etc. The main feature of this pen is the 18 Karat Gold plated on the pen itself. This gives the exquisite and high-class feel to the eyes. The laser engraving work is highly detailed with the machine precision on the barrel of the pen. You definitely want at least two of this for yourself and him to assist in the office works. It is ideally personalized and unique only for you and him. For $37 dollar, the pen even comes with a pencil as a matching set. They both got engraved for free of charged and send to you in a professional case for better protection. Though this is mainly in the men’s category, this is a gender neutral product. So feel free to gift someone you love that truly special in your life. Everyone will definitely love this pen! Thanh 39 even offers a cooler pen compared to normal brands. Both the pen and the box have a Rosewood theme color, which is unique to certain men that love the red color combine with the wood nature. This fits perfectly as red is the color of love, the blood of your life, and the life force. Combine with the rosewood material, it implies longevity, solid relationship and eternal love. This pen focuses on the professional demonstration. It also matches with who has a strong personality and comes with decisive actions. It brings the connection of your love to a more powerful bond between you and his successful life. The personalization enhances his individuality and unique character. The eagle logo also presents freedom and vision of the horizon. You help him to realize that together, you both can make plans freely and build a better future. The box will come with two set of a pen. The first one is a roller ball pen which feel smoother and more fluid when writing. This mainly uses liquid ink which flows better than most ink. While the second ballpoint pen gives a better control in overall and last likely longer in term of usage. The ballpoint pen uses thick oil-based ink which gives a slimmer look and lighter than the other pen. You can have your engravings on both pens and the box. The maximum characters are up to 40 which is amazing to engrave a short quote. The products are laser engraved which will last forever. For $35 bucks and free engravings, my company used to order in bulk to gift to investors in many important conferences. This is one of the best-engraved gifts for men for many special occasions. If you ever wonder where to get a rare and unique pen, for example, a typical military veteran, then this is the one. 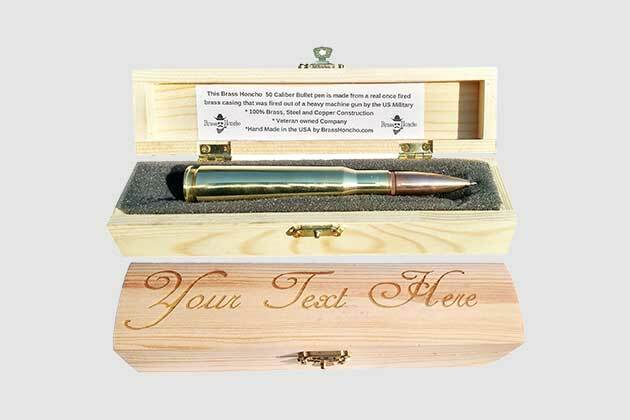 Brass Honcho offers a 50 Caliber Bullet Pen. This is definitely the right call for such wonderful engraved birthday gifts for him. This matches with men who have a military or security background. Even it suits for those love guns and bullet too! There are a few essential things to note here. Firstly, this is a refillable pen so you can actually use a Parker style refill or ask the office supply shop to help you with. The point of the bullet can be easily removed from its casting then the ink cartridge will reveal. Second of all, the engravings seem to be available only for the box and up to a maximum 20 characters. Though you can still email the seller to discuss any special requests. Thirdly, the product is made in the USA by a veteran owned company. Hence, you don’t have to worry about its quality. The main materials are brass, steel, and copper which is definitely last super long for years. The ink is smooth for writing and won’t cause any bleeding effects. This $45 bullet pen is a creative gift for father’s day, anniversary, birthday and retirement celebration. It is likely a great keepsake for someone who is going to relieve from his duty. I believe it is also a great reminder of friendship and teamwork while your partner servicing the army. So don’t miss out this chance to show how much you appreciate for his efforts and hard work over the years. If your boyfriend or husband is a drinker, then flask is a viable option as the best-engraved gifts for men too. Sometimes alcohol would motivate men, though drinking too much alcohol would likely cause damage in the long term. Therefore a flask is the best choice to limit while still keeping the effects. This flask is very convenient to carry around since it fits the pocket size. Men who love to take a small sip when he is in deep thinking. From the look of it, this would be perfect for mature men who enjoy a little push every now and then. But you should be aware a few things here. The flask can only have two lines for engravings, each line should have up to 20 maximum characters. Also, keep in mind that the engravings should be family friendly so there won’t be any dirty languages or profanity. The main material here is stainless steel which is quite obvious considering you would use this for liquor storage. Also, the construction is very clean and smooth giving an elegance look even from afar. With the polished engravings, it is contrasting with the steel material which enhances the beauty of the flask. The Griffco company even accepts customized outline for your engravings. This is rather convenient for you while paying on $28 for each order. The flask can be a gift for many occasions such as wedding, party, birthday, promotion and family celebrations. The order delivery is quite fast within a week starting when you finalize your customization. So don’t hesitate to get him something really nice and efficient like this flask! Considering a large set of the flask for your group of friend or a conference? Top shelf flasks offer an effective solution for you to buy a set of six 8oz flasks. 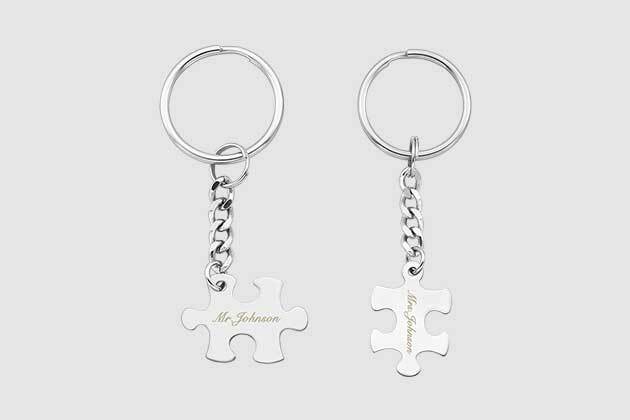 They are altogether making an ideal approach to prepare multiple personalized engraved gifts for him. These flasks have a shiny look which can be used in both public and private places. As for the ordering process, you need to keep in mind to have your instruction ready before placing the order. Best to supply your customization details within 2 hours from the moments you send the order. Each flask can hold up to 6 lines and maximum 22 characters per line. These flasks, beside their functional use, can have many applications depending on the engravings you have on it. If you gift it for your spouse or partners, it can imply a symbol of love and connection. If it is for your friends and colleagues, the flask can be a symbol of fun and a great relationship. If you gift this to your favorite clients, remember to make sure he/she has the style of drinking alcohol. Then you can gift this as a token of appreciation and deep understanding of your clients’ hobbies. This is a very reasonable deal at $36 dollars for a total of six flasks in bulk. Also, you can have them separately engraved, though you need to give a clear instruction for each one. Furthermore, you don’t have to worry about the quality of the flask. These are stainless steel construction and you got a warranty of all its lifetime. Hence, it is totally worth to consider these flashy boys for the next special events! If your boyfriend or husband has a specific love for the traditional type of flask, then considering to pick this glass flask. It is suitable for whiskey, bourbon, and scotch storage which makes the greatest engraved gifts for men. It will definitely match those who prefer the old days of drinking from a pure glass flask. Typically for traditional men or women with a slight drinking habit. Take notice that the flask can hold about 8 oz of liquor. As for the engravings, they are carved by experts from Crystal Imagery company. 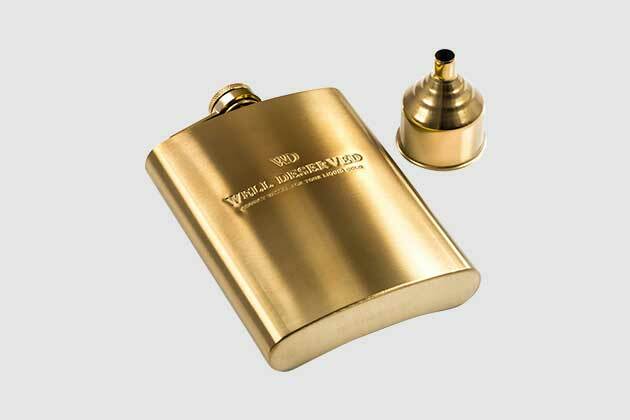 The maximum characters are 18 for this type of flasks, quite a bit less compared to the other stainless steel flask. But in exchange, you have the engraving the three-dimensional feels. This even makes the flask standout and curious to everyone’s eyes. 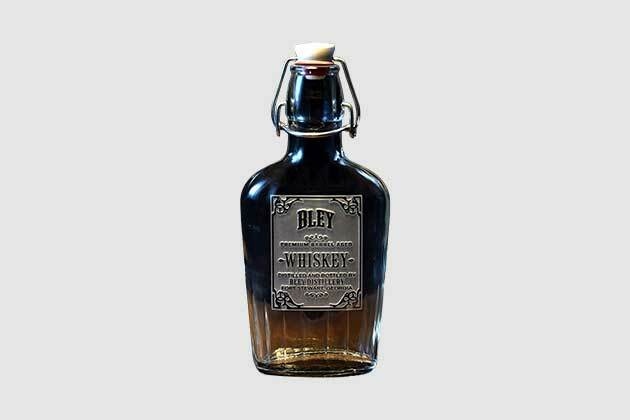 If you want a customized word instead of the word “Whiskey”, the company can fulfill for you as well. Just to mention in your email as soon as you place the order. Also, remember that the word should be 12 characters or less. The remaining of your engravings still remain unchanged which are your name/city/state. You can rest assured about the quality of the glass material as well as the handicraft of the engravings. For the price of $37, this is rather a competitive price for such a well-designed flask. This also fits well on most occasions and special events depending on how you gift it to your boyfriend or husband. Surely, he would understand your love and care for his personality and favorite hobbies. Last on my list, for those who are looking for engraved keepsakes for him, this classy golden flask is the most ideal gift so far. It is not a bad thing to have a materialistic personality, and this flask just works its magic. Elegance, power, luxury, wealth and style are everything you can tell from this flask. This also suits for those who prefer the old day when gold is a great symbol for refined arts and impeccable crafts. If your partner or husband is an outstanding man and keens on detail, this flask is definitely for him. One thing to be clear that the gold plating is only for the exterior surface. The inside is still genuine stainless steel for safe drinking.The stainless steel material is the top quality of Simpler Life brand since they even offer ad 110% money back guarantee or free replacement. You don’t need to feel concerned as many customers have used over the years, yet, the gold plating is still intact. Though you cannot customize the engravings for this flask, it comes as shown in the picture. With all the expensive look, you might think the price should not be affordable. Well, the brand manages to sell it for $18 bucks which are quite impressive. 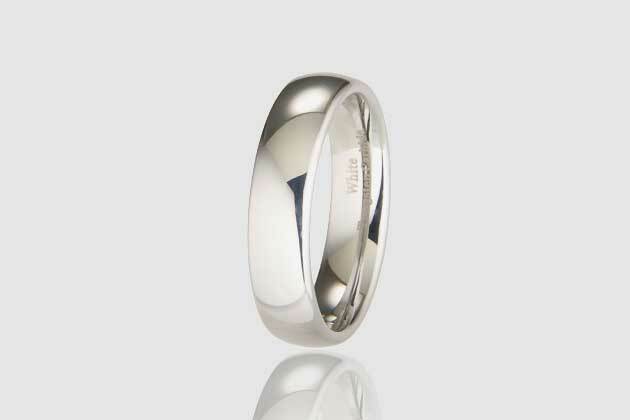 Considering you have both the great quality and shiny look, it would fit well as a keepsake or a special gift for him. This can be suitable for most holidays and occasion throughout the year so you can mix this flask as a neat gift in combination with my other suggestions. It is up to you to look for the best trait in your partner or spouse’s personality first to see what is best for him. These items I have on this list are very affordable, yet very meaningful to gift him. Also, they are not very occasional specific or aim for a different event. You can utilize this suggestion to your advantage planning for an all year round list of gifts. Regardless, if it is his birthday, promotion, anniversary or family celebration, you are always locked and loaded. I hope you can you the best-engraved gifts for men that eventually cherish your long-term relationship and embrace your future altogether.